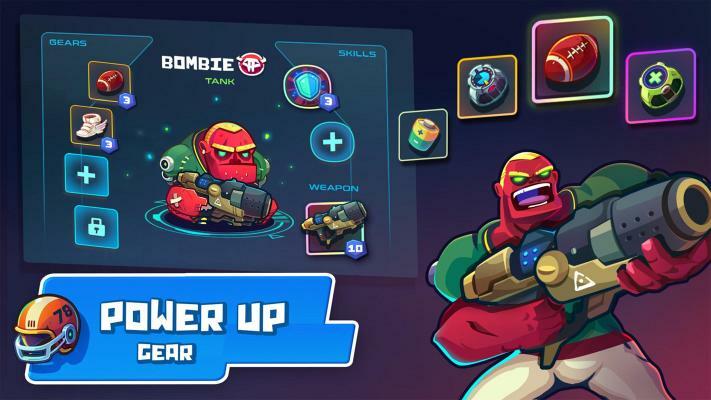 Boom Arena is a Free Android , New Action MOBA Brawler , Mobile Multiplayer Game featuring Chibi characters . 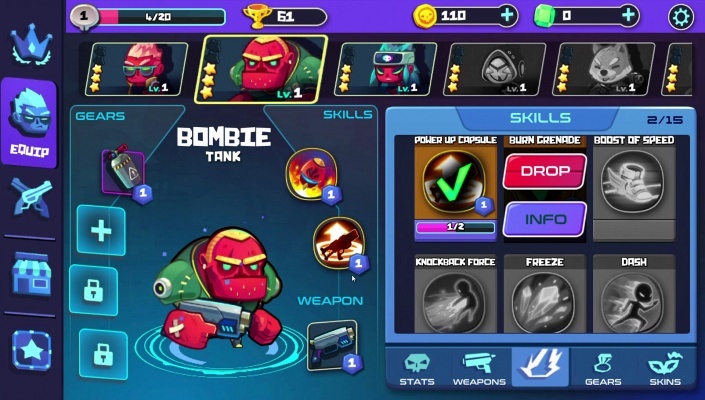 Boom Arena is a free game with MOBA gameplay - real-time action. 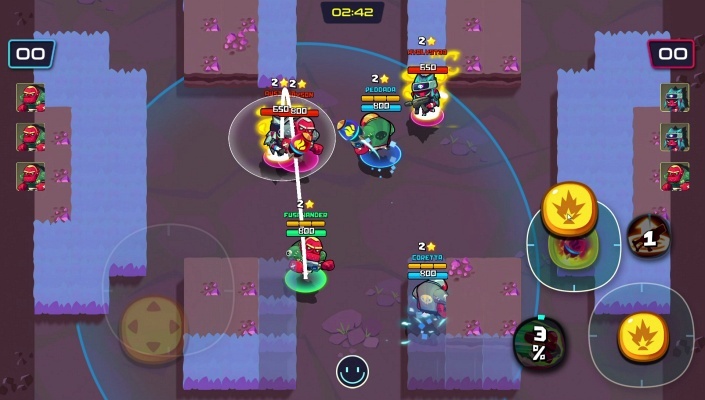 In a 3vs3 arena, it is extremely fun, but equally attractive and requires high skill and teamwork . - The game is made from high-quality VFX technology with the image of Chibi character extremely eye-catching to bring a very cute feeling. - Dynamic and intuitive controls require high player skills. - Only with smartphone and stable internet connection can you participate in fierce battles and firefighting. - The duration of the match and the duration of each match lasts 10 minutes, allowing the player to actively schedule their time. Players can freely choose one of the more than 600,000 combinations of styles between weapons and skills . 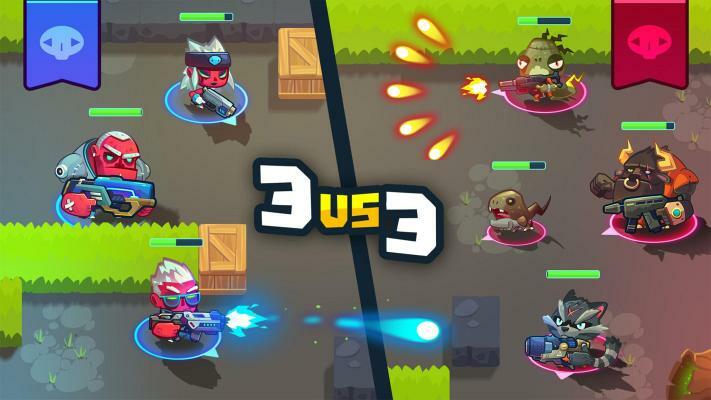 Real-time 3v3 real-time battles are free - With a simple gameplay, easy to familiarize yourself with the best conditions for players to adapt to the game and the owner of his "Hero". 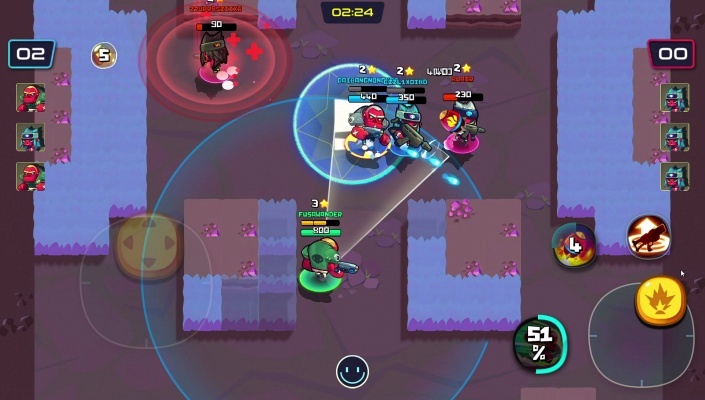 In addition to the 3v3 map, players can enjoy the experience of custom maps with different maps and different interesting and interesting map modes. - Speed , Makes it difficult for the opponent with agility and maneuverability with a wide range of activities. 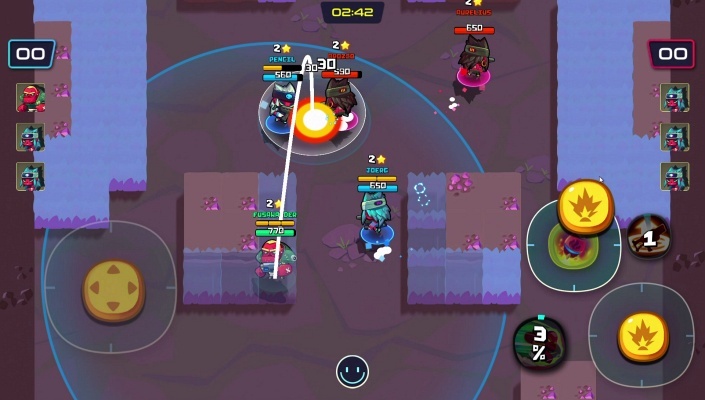 With the player's skill and "bait" skill creating space and visibility for Assault, great. - Assault , Standing in the back, away from potential hazards as Assault plays an important role in ending the battle. - Tank , The real power is a big advantage of tankers in the Boom Arena with high blood pressure and good resistance to the Tanker is always evil in the disruptive description of the conflict on both sides. Fight constantly, compare skills. Victory is based on three and only three key elements guarantee perfect equality. MOBA Esports : Skill, Teamwork, and Strategy. The only difference between players and players in the process of forging and accumulation of experience to rise to a new height . Player interaction - Easily transmit messages and intent with quick cute and cute emoji chat .